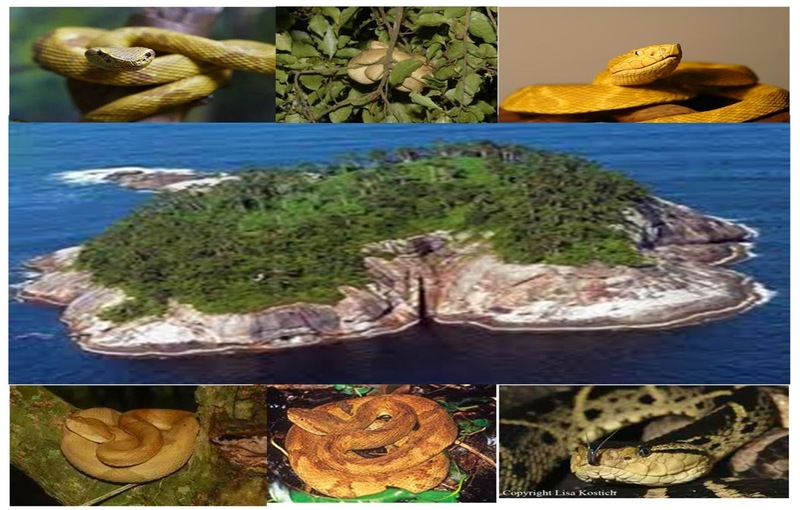 Ilha de Queimada Grande, nicknamed Snake Island, is a 430,000-square-metre (43-hectare) island off the coast of the state of São Paulo, Brazil. 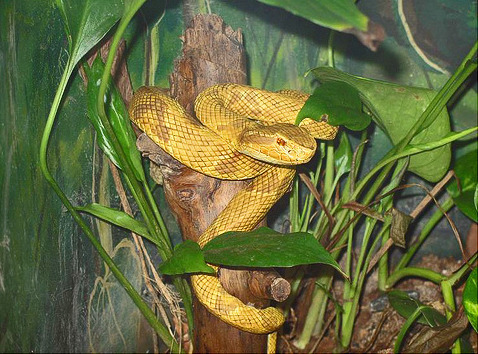 It is home to a species of fer-de-lance, the Golden Lancehead Viper (Bothrops insularis), which is one of the most venomous snakes in the world. 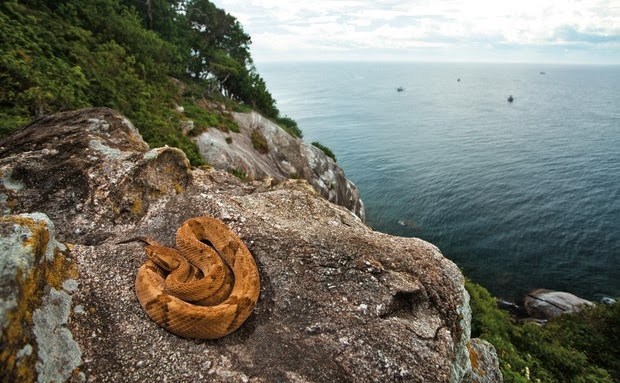 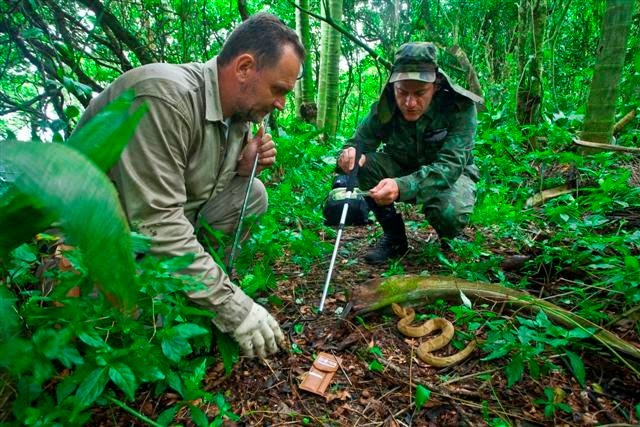 Local legend claims there are five snakes to every square meter, while a documentary on the Discovery Channel claims that in some places there are as many as one snake per square meter. 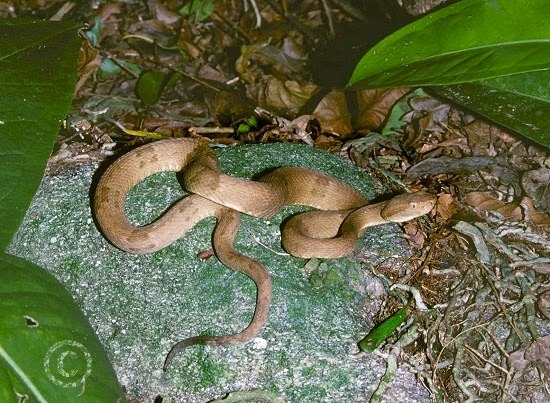 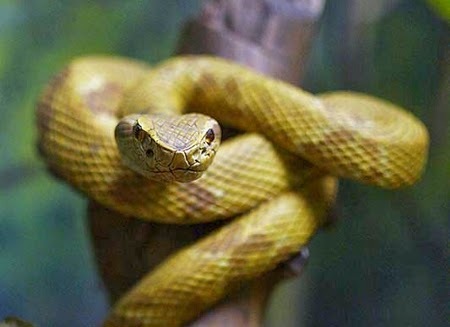 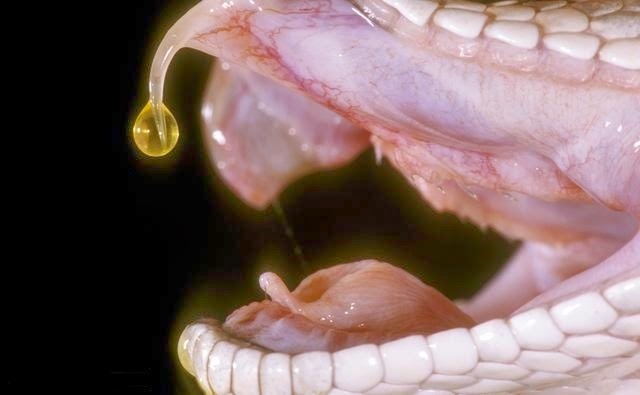 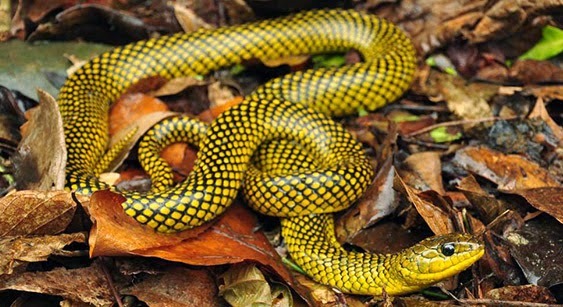 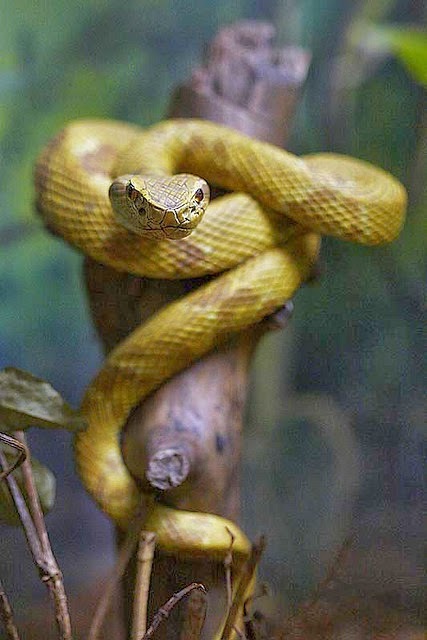 The Golden Lancehead is the only species of snake on the island, yet is considered in danger of extinction since it has no other habitat and might be wiped out by wildfire. 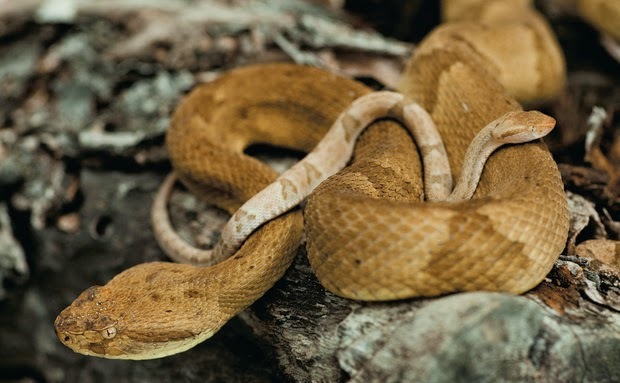 The viper population is also at risk from inbreeding, effects of which are evident in the population. 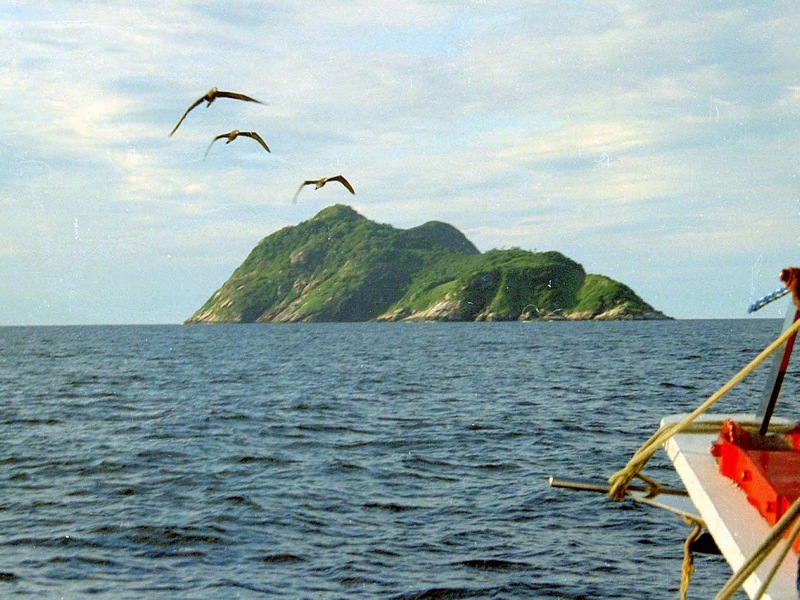 Plans to build a banana plantation on the island fizzled, but this is likely the origin of the island's name, as in Portuguese, queimada is a name for a slash-and-burn fire (i.e., to clear land for agriculture); so, the island's name would mean "the island of the big land-clearing fire." 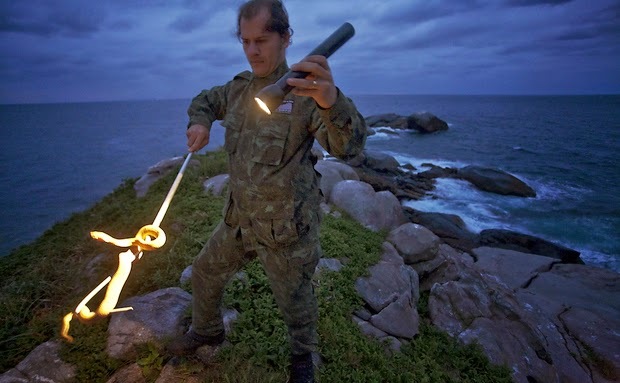 For a long time, the island's only inhabitant was a lighthouse keeper. 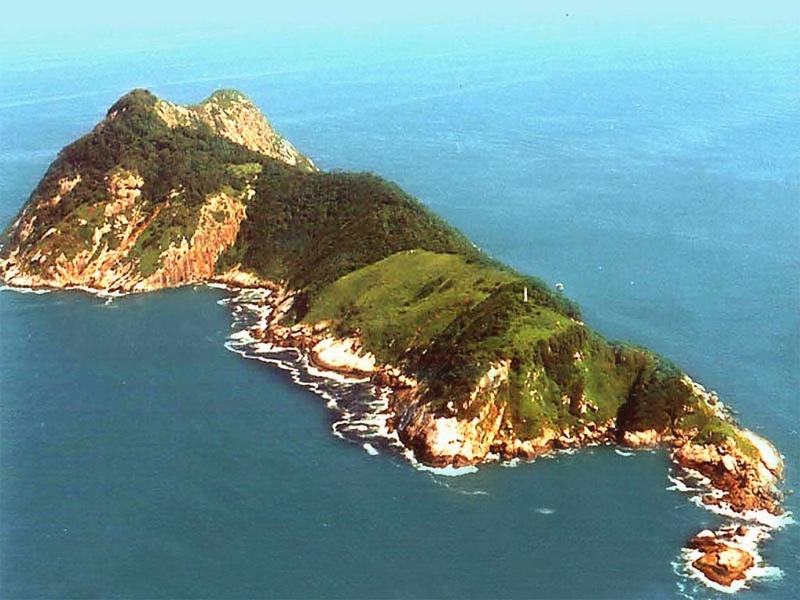 Currently, the Brazilian Navy bans civilians from the island, though scientists sometimes receive waivers.